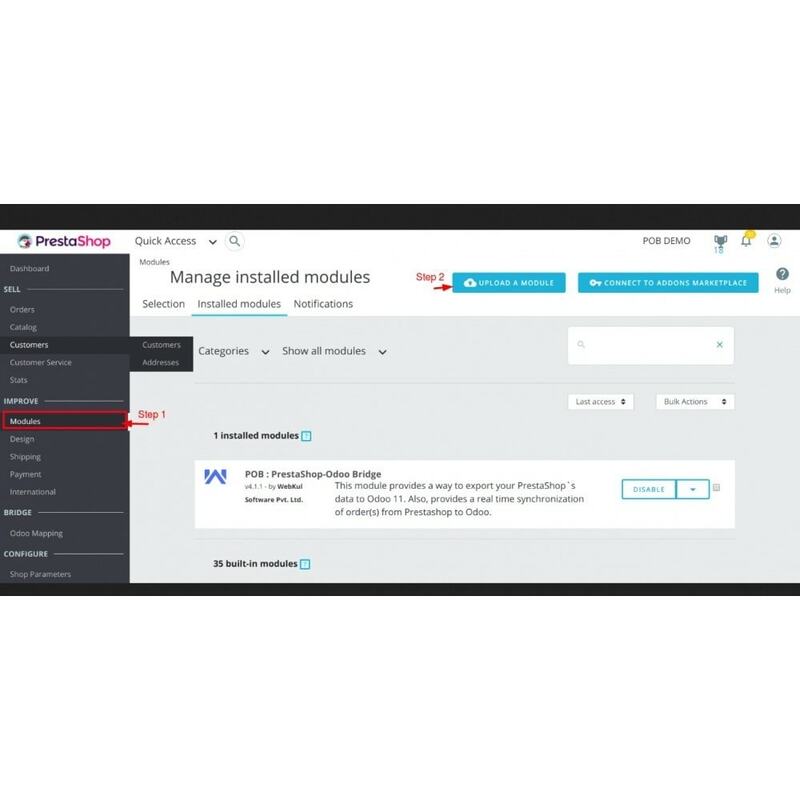 The module facilitates integration of Prestashop store with Odoo. You can export products, product categories, customers and orders from Prestashop to Odoo. 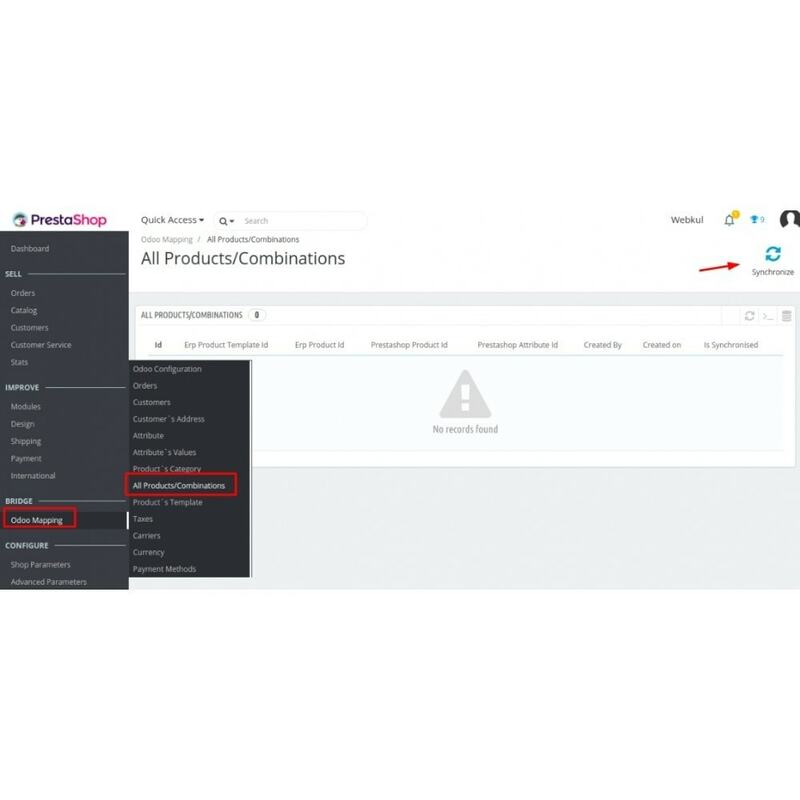 New products and product categories can be created in the Odoo and import to Prestashop. 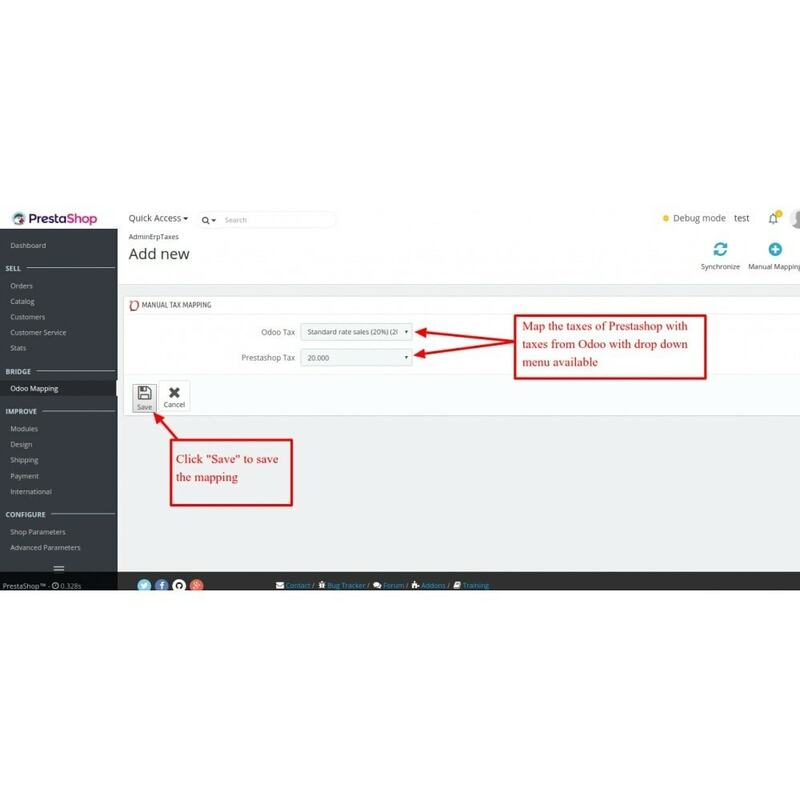 It also allows real-time sync for orders from Prestashop to Odoo. 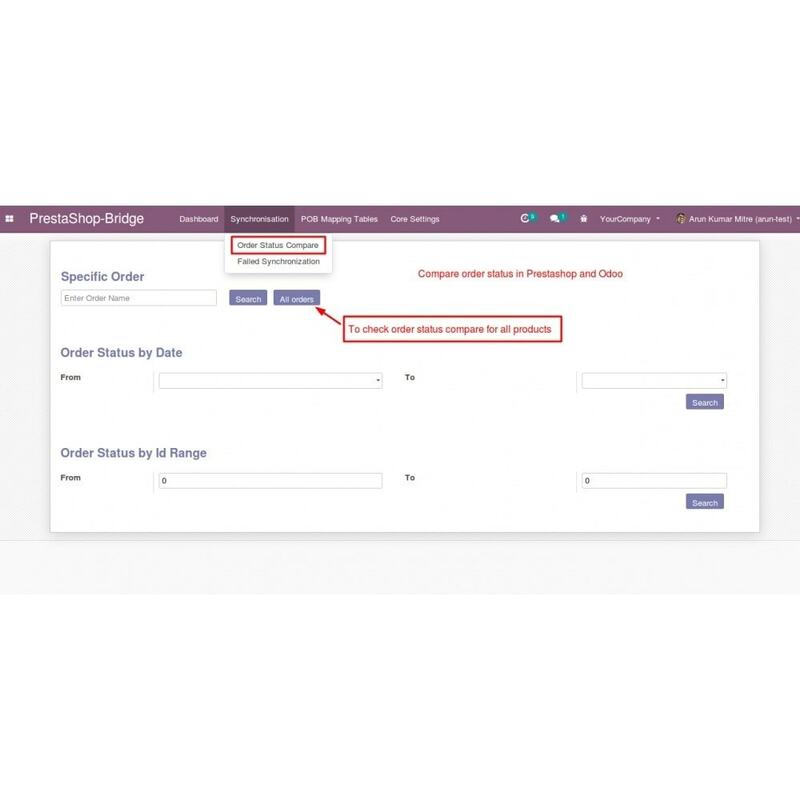 The orders get synced to Odoo in real time allowing faster order processing and shipping from Odoo’s end. 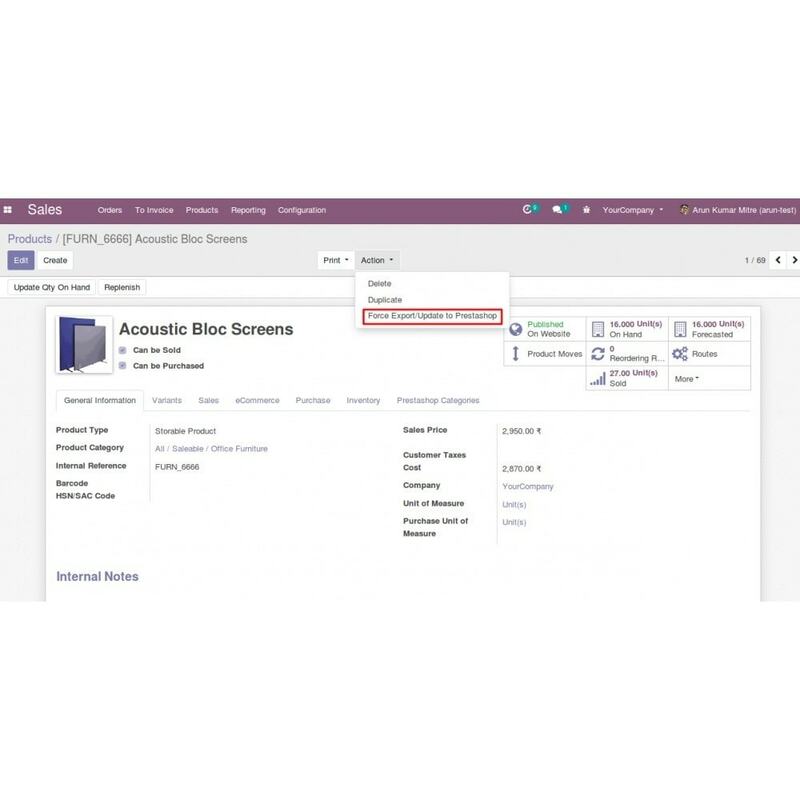 The shipping methods and payment methods can also be exported to the Odoo. 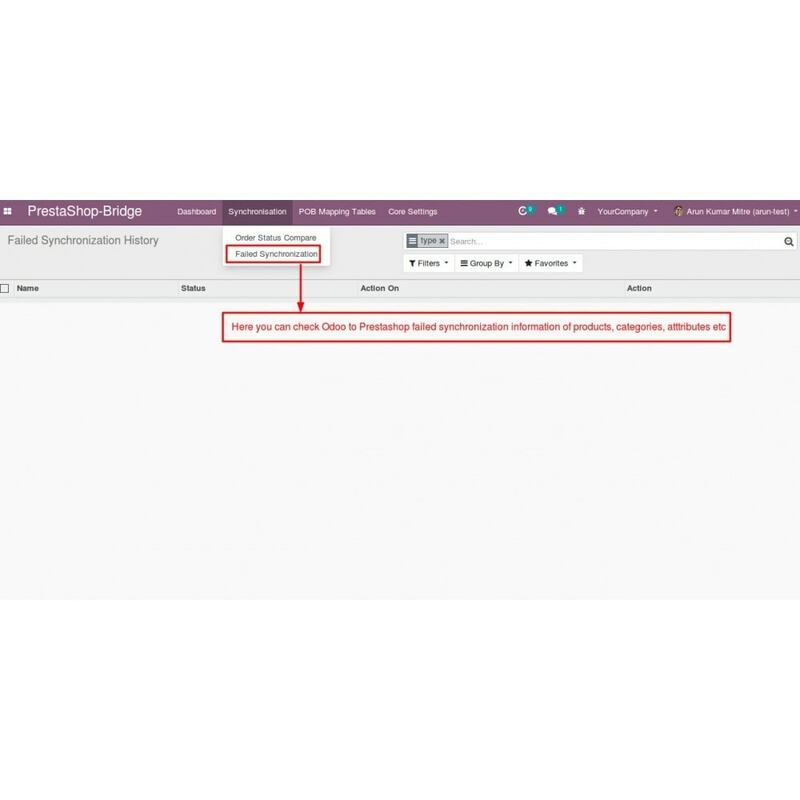 Odoo - Openerp Bridge provides bi-directional integration between Prestashop and Odoo. 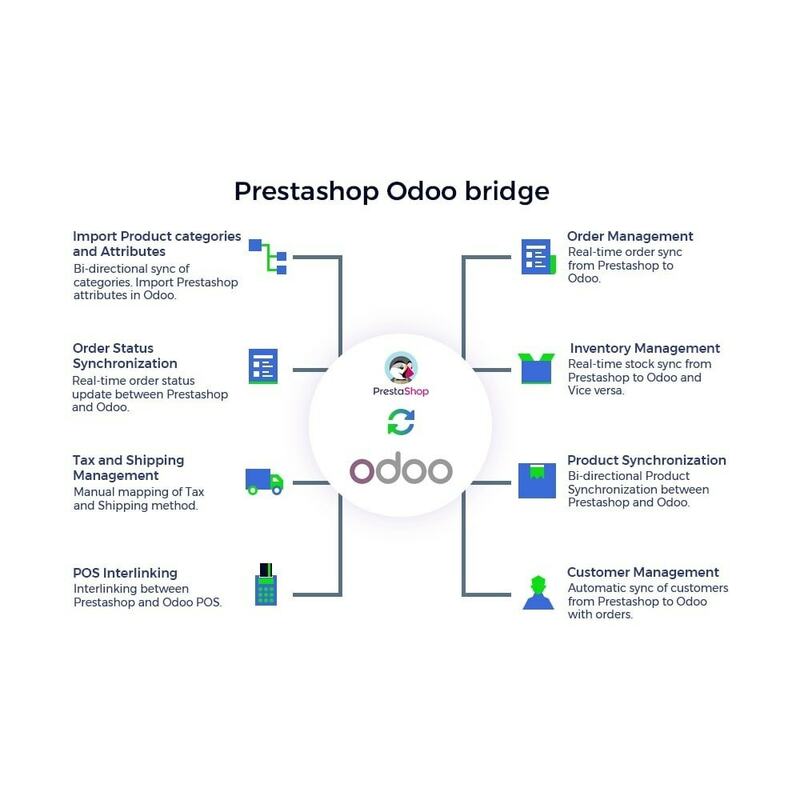 Odoo bridge supports synchronization of products /categories/customers /orders /taxes/payment method /delivery methods from Prestashop to Odoo. 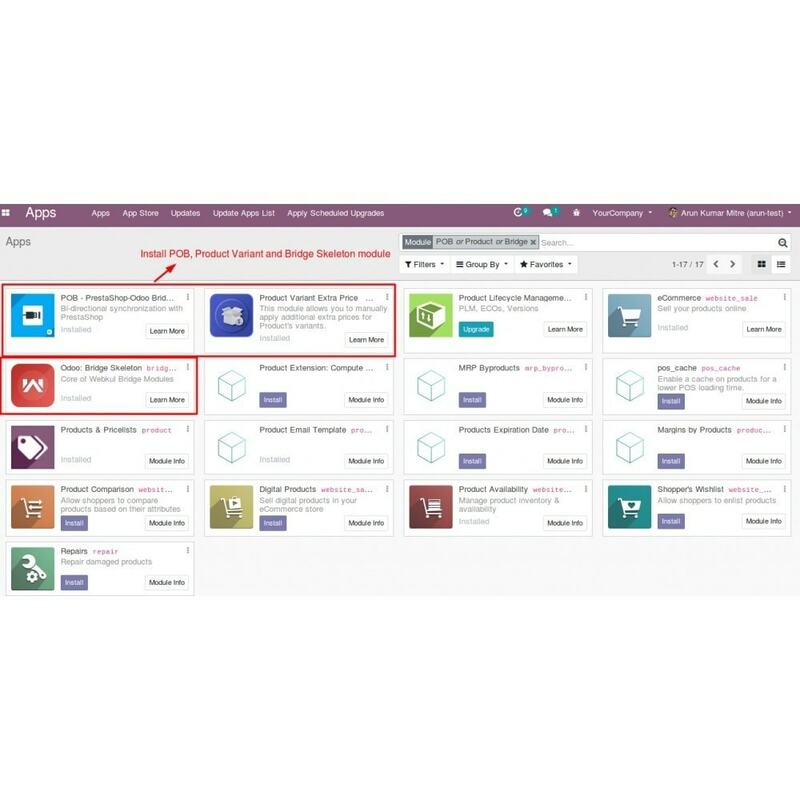 The user can also, synchronize products, categories and attributes from Odoo to Prestashop. 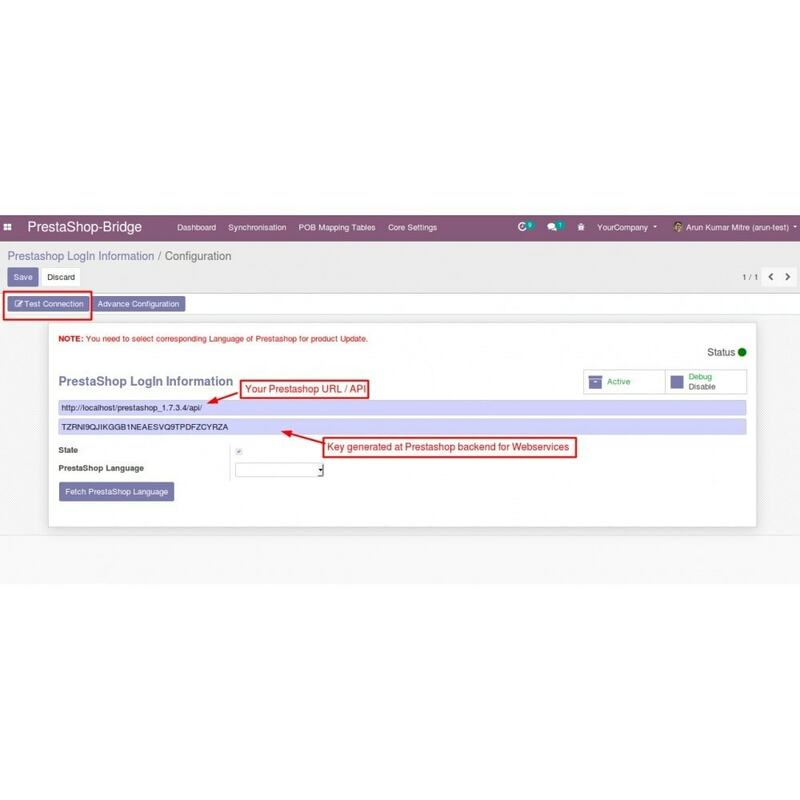 Odoo bridge also provides real time stock sync from Odoo to Prestashop. 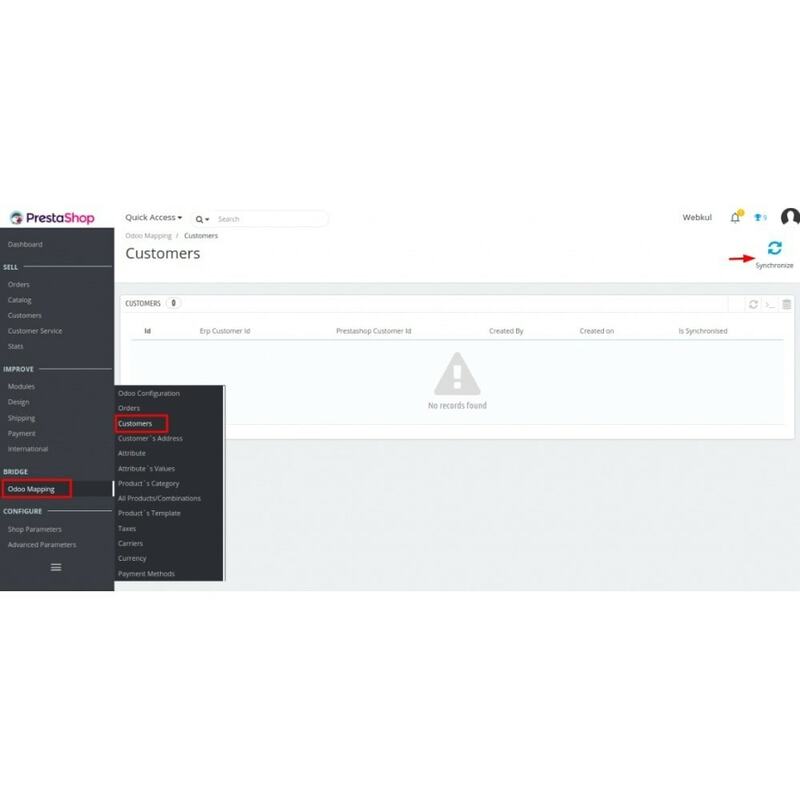 1.Admin can easily manage Prestashop Orders, products, stock, etc from Odoo. 2. 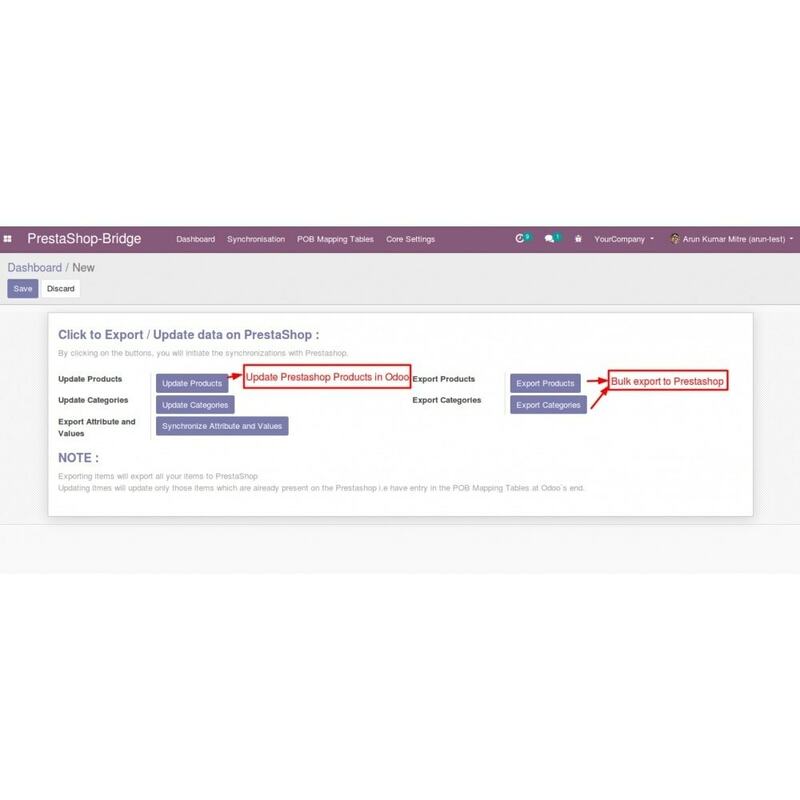 Odoo bridge allows the user to export/update Odoo products, categories in Prestashop. 4. 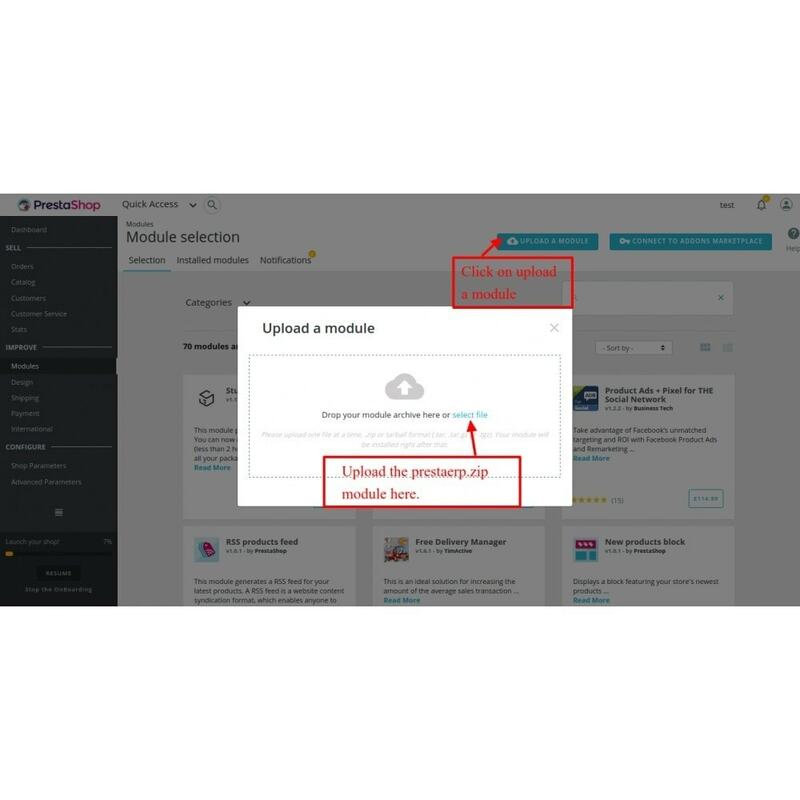 The user can import Prestashop customers and old orders placed before the module installation. Export/Update of products and categories from Prestashop to Odoo and vice versa. Bi-directional export of attribute and attribute values. Real-time stock update from Odoo to Prestashop. Export customers and their address from Prestashop to Odoo. Real-time export of orders and order status like cancellation, payment accepted, delivered. from Prestashop to Odoo. Export Prestashop old order placed before the module installation. Interlinking between Prestashop and Odoo POS. Synchronization of payment methods, shipping method, Taxes, currency and Categories from Prestashop to Odoo. Manual mapping of taxes, payment method, carriers, currency and categories. 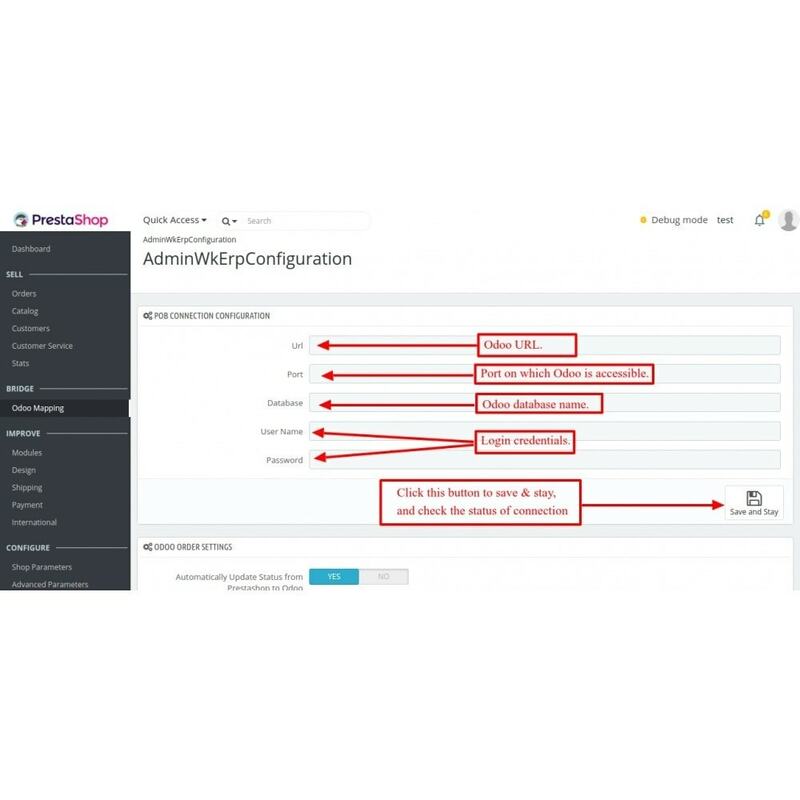 Admin can easily manage Prestashop Orders, products, stock, etc from Odoo. 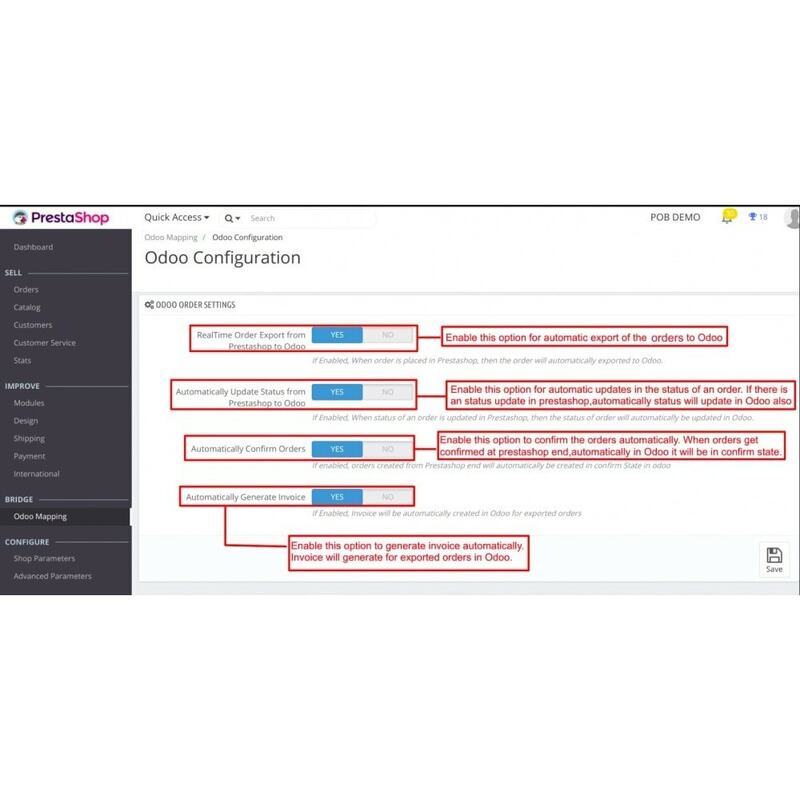 Odoo bridge allows the user to export/update Odoo products, categories in Prestashop. 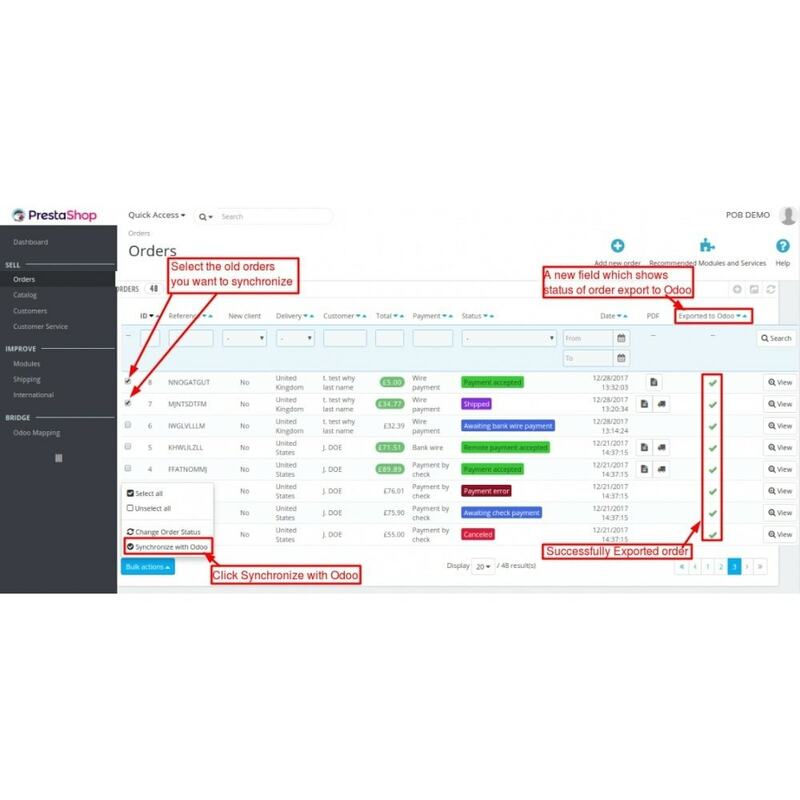 The user can do the manual mapping of Odoo shipping and payment method to Prestashop shipping and payment method.